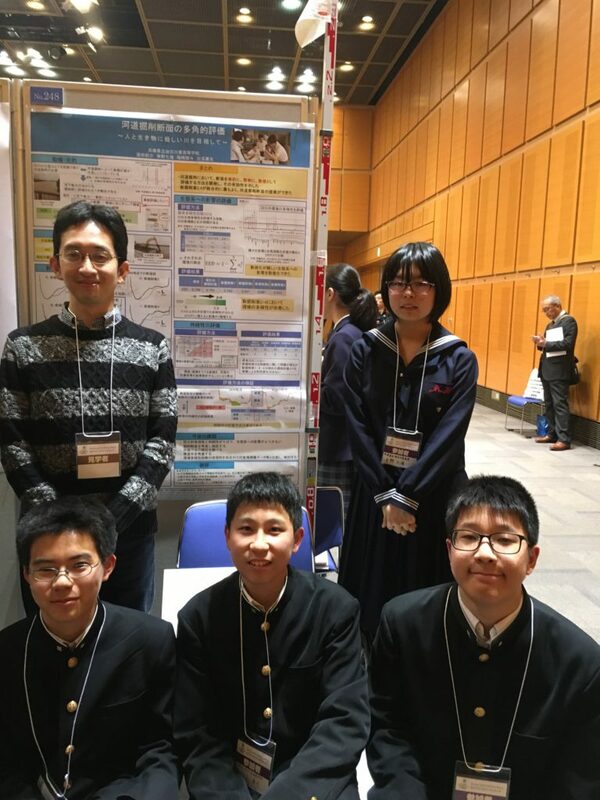 there was an presentation given by students from Kakogawa Higashi High School, titled “Multilateral evaluation of river dredging”, using iRIC. 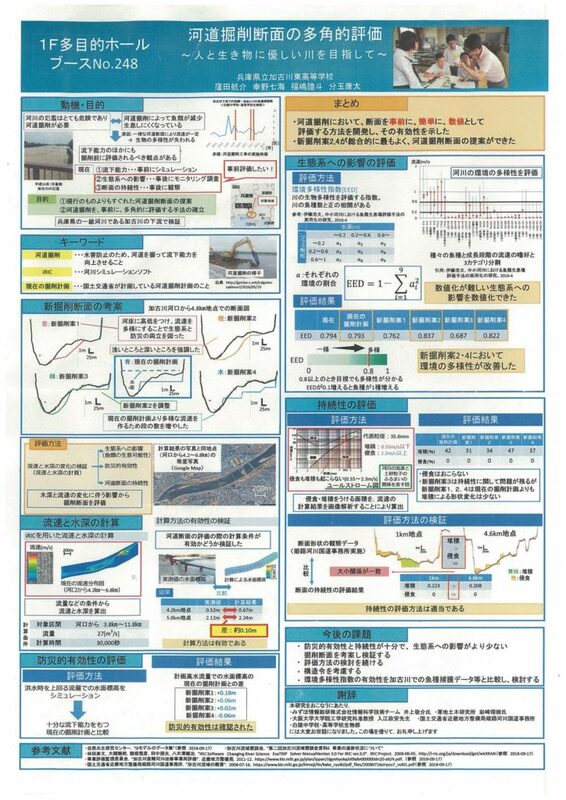 Their presentations was reported by our colleague Mr. Inoue, Muzuho Research Institute, one of the members of iRIC development team. 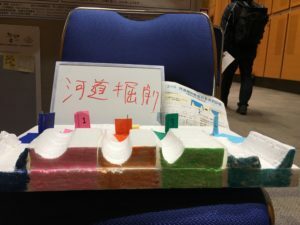 It was a fantastic, practical and almost professional work, according to his report.